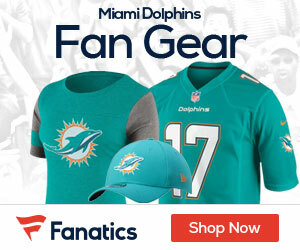 « Will the Fins Go After Phillip Merling’s Salary? Throughout the off-season, for the second straight year, all of the hype and the media attention has been surrounding the New York Jets, and the New England Patriots. Seriously, it’s like the Miami Dolphins are as bad as the Buffalo Bills. Sure, they are getting recognized in the power rankings around the web, but besides all of the negative press surrounding the team this off-season, you have most likely heard nothing about the Fins on either ESPN, or NFL Network. Maybe this is because the team is so young, and inexperienced? Maybe it is because after coming off of a 11-5 season, and a playoff berth, the team disappointed many, including the national media, and failed to come anywhere close to that record, and instead went 7-9. Let’s face facts, it’s the truth. Fisn head coach Tony Sparano lost 55 pounds this off-season. Besides the local media, you hear nothing about it. But if you turn around and see that Rex Ryan has lost weight, and failed to get it off on his own, and instead took the surgery route, it’s all over the web, and national outlets that he lost weight! But besides the fact that our team is extremely under-rated, the most under rated unit in the division is most likely the Dolphins cornerbacks. Sean Smith. Vontae Davis. Will Allen. Nollan Carroll. All have either held their own in their time in the league, or are opening eyes in training camp. Some have done both. Smith, despite giving up the deep ball way too often last year, was thrown at less than Darrelle Revis, the best cornerback in the league! Davis is impressing at camp, so much in fact, that he is being descirbed as THE most improved player on the teams roster from last year. Davis is poised to lead a young, and improved crew of corners this season for the Dolphins. Will Allen is so determined to get his starting role back, after surrendering his job to Davis after suffering a season ending injury, that he is tearing camp up, and showing the coaches, and the local media, that he can still pkay some ball. Carroll is showing the top end speed and technique to keep up with the slot receivers that he will most likely be seeing a lot of this season. He has also shown that he can make plays by getting a pick-6 in practice so far. Davis and Smith were the youngest cornerback tandem in the league last year, and while the Fins pass defense was not the best, and wasn’t spectacular, they still made plays, and held their own. This year, when the team will have a high-powered defense, led by the tricky schemes of new coordinator Mike Nolan, the corners will have more help, and most likely make more plays. Here is a guarantee by me that will also help the stats for the unit. Smith gave up a lot of deep passes last year. We all know that. But did anyone notice how most of those passes were either tipped, or crazy plays where Smith just turned the wrong way? Smith will gain experience through time, and those deep passes will then decrease less and less, until they are only happening once in a blue moon. Also, with teams for the most part avoiding Smith’s side of the field last year, that gave Davis more opportunities to make plays, and that is what he did. Davis led the team in interceptions with four last year, and that was against some of the league’s top receivers. Allen is a veteran, and has a humongous chip on his shoulder, after seeing the rookie perform so well last year, that they are the favorites to again start this year, only this time from Day 1. Allen will push them for all they are worth, and at the least will provide great depth for a team that is desperate for veteran depth. While the Jets may have the best cornerback in the league in Revis, and a very good supporting cast in Antonio Cromartie and rookie Kyle Wilson, they are prone to give up the big plays. The Patriots also have a young crew of corners, and a young defense altogether. So the main reason why the Dolphins corners are not collecting any press or attention this summer is because they were ranked 24th in pass defense last year. But keep in mind that their whole corner crew was developing, and did not have much depth at all. This year they will have not only some of the healthiest corners in the league, but also some depth to go along with it. The Fins are poised to shock the world again this year, but this time, the cornerbacks will gain some recognization as well as some respect around the league!